If you believe that you have foundation damage in your home, then it is important that you have this damage fixed by a foundation repair specialist as soon as possible. The fact is that your home’s foundation is one of its most vital structures as it supports your home and keeps your family safe. If you ignore this problem the damage will only get worse, resulting in more costly repairs down-the-road. However, this does not mean that you should rush and choose the first contractor you come across. Choosing the wrong contractor could make your problem worse than it already is, making it important that you take your time and choose a quality repair specialist. Here are a few tips to help ensure that you pick the right foundation repair specialist to work on your home. The most important thing for you to do when looking for a foundation contractor is to take your time and do your research. Do a search of foundation specialists in your area, and look to see if they have any reviews, complaints, or testimonials regarding their work. However, even in the internet age word of mouth is still one of the best ways to find quality contractors. Consider asking friends, family, and neighbors if they know any specialists they would recommend. Getting a recommendation from someone you trust is often the best way to find a quality foundation repair company. 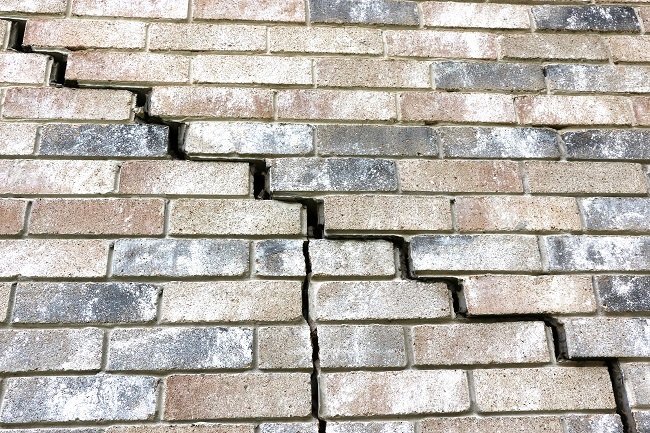 Due to the fact that foundation repair is an intensive process, it is important that you choose a qualified repair technician who is properly licensed and insured. When you begin talking to/meeting with contractors you should ask to see their proof of licensing and insurance. You do not want to let someone who is unqualified, and uninsured, work on your home, as they may leave you with more costly damage than you started with. It is also critical for you to ask whether a contractor offers any kind of warranty or guarantee of their work. If a contractor offers a comprehensive warranty, this is often a sign that they have faith in their work and are willing to make corrections if repairs are not completed right the first time. You do not want to work with contractors who do not offer any kind of warranty, as this often indicates the low quality of their work. Contact us for more advice on what you should look for when searching for a quality foundation repair specialist. Concrete cracks often occur due to expansion or contraction of soils beneath the slab. Due to the rigidity and brittle nature of concrete, when soils below washout or contract overtime, they can cause a void and the concrete will crack and settle, causing a transition on the surface above. Such transitions not only tend to worsen over time due to more moisture traveling through the crack, but can become a serious trip hazard for pedestrians, leaving the property owner with a liability risk for injury. Time was when there was little recourse when this occurred beyond a costly demolition and replacement job that often included removing soils below and replacing them with compact-able materials. When is comes to managing the liability of uneven concrete these are a few things to consider. Now, thanks to Steady House Foundation Repair, property owners in the greater Dallas-Ft. Worth areas have much more cost effective options available to them. Instead of replacing large areas of concrete, the professionals at Steady House can simply raise the sunken slab of concrete. This process can be done quickly, economically, and does not require losing the use of the are for days or weeks during construction. Following a detailed inspection of the problem, we can apply a technique known as concrete raising, whereby our technicians drill several small holes in the sunken area of concrete. Under high pressure, we then pump stabilizing expansive materials into the holes, raising the slab, until the transition disappears. Once it is gone, we patch the holes and fill the crack, leaving a smooth, level surface that water will no longer penetrate. The entire process can take as little as a few hours during a low traffic time, leaving your home or business traffic largely undisturbed. 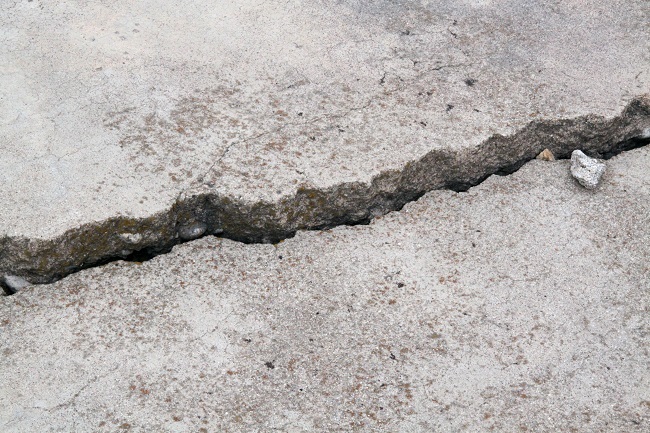 Whether it is a trip hazard in the concrete outside, or cracking, leaking foundations or slabs inside your property, we use the latest materials and techniques to fix the problem and protect your family, your guests, and your assets. Have questions or concerns about your Dallas-Fort Worth area property? Contact Steady House Foundation Repair now to schedule a free consultation and get an estimate.